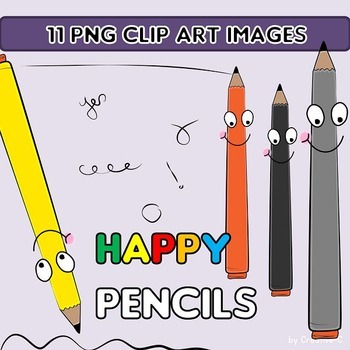 Clip art set of colorful pencils to decorate teaching resources and classrooms. Hassle-free TOU for educational commercial use. You are allowed to use the images in your own classroom or at home (personal use). You are allowed to use the clip art files in your personal and commercial educational resources without giving credit, however, credit is appreciated :)! Please note: You will not receive a physical item after purchase, but you will be able to access the download of the product.